BRACELET: Rubber Tropic 20mm strap. Also comes with owner's generic B.O.R. bracelet with initials "FWD II" engraved on the buckle. CONDITION REPORT: Case is in excellent overall condition and has a dedication engraving "FREDERICK W. DOEPKE II / EUROPE 1967" on the case back, which corresponds to the purchase date by the parents of original owner. The bezel is original with its original lume and has only a few little marks. The dial is in perfect mint condition. The hands are original. Overall, the watch is stunning. NOTES: According to the original owner, from the US, he was stationed in Germany during his military service in the 1960's. His parents came to visit him in 1967 and purchased this watch as a gift for him. The watch came on a rubber strap, so he later purchased a generic beads-of-rice bracelet that he had engraved with his initials. 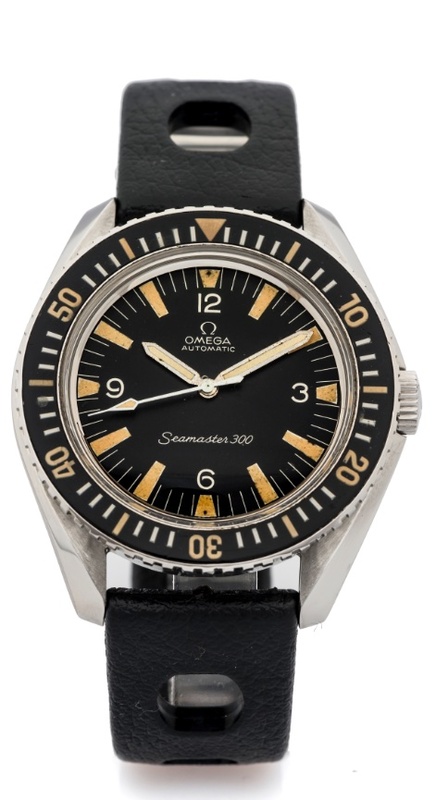 According to the Omega Museum, the present watch was manufactured October 25, 1966 and delivered to Germany.